What Happens To Credit After Chapter 7 Bankruptcy? How Does Bankruptcy Affect You Financially Now & in the Future? Filing for Chapter 7 bankruptcy has a significant effect on your credit score. It's impossible to say how far your credit score will drop. It depends on your specific financial circumstances. What is certain is that the bankruptcy will follow you for years to come. Most negative financial information stays on your credit report for seven years. Chapter 7 stays on your credit report for 10 years. During that time, you may find it difficult and expensive to borrow money, whether it's something small like a store card, or something major like a mortgage. Chapter 7 is also known as liquidation bankruptcy. For most people, this is the last resort. When you file for Chapter 7, the bankruptcy estate takes most of your possessions and sell them off to pay your creditors. Once all of the money has run out, the remainder of your debts are erased. Certain possessions are exempt. The law on this varies from state to state. Chapter 7 becomes a part of your credit history. It will be on your credit report for 10 years. During this time, it's likely to have a negative effect your credit score. However, it may still be better than the alternative. By filing for Chapter 7 bankruptcy, you free yourself from most, if not all, of your debts. That means no more late payments and other things that hurt your credit score. You have a clean slate, from which you can slowly start to rebuild your credit history. It takes time to rebuild your credit history. You have to prove to creditors that you can be trusted to repay the money you want to borrow. It's easiest to start small. If you can get approved for a store card, you're well on your way. Make sure that you use that card and keep up with all of the payments. After a while, you'll be able to qualify for credit cards and loans. As long as you pay your bills on time, your credit score will improve. How Many Points Do You Lose on Your Credit Score After a Foreclosure? What Does Discharge Mean on Credit Card Debt? How Long Can You Stay on Food Stamps? 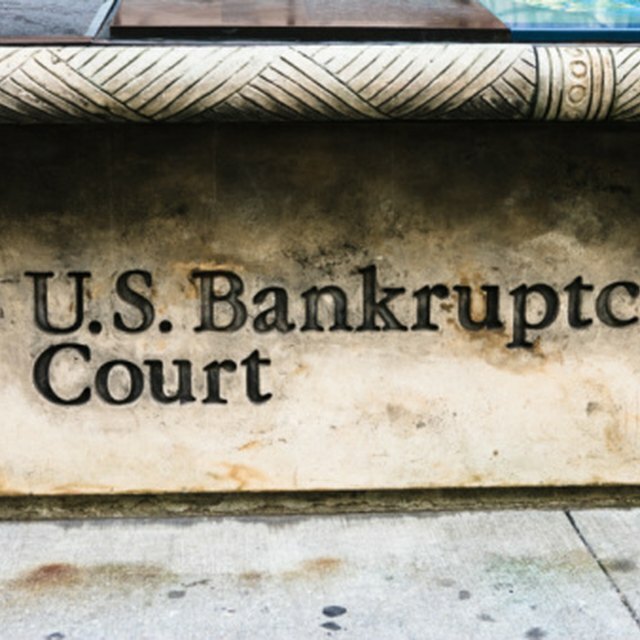 What Is a Partial Bankruptcy? Does Filing for Bankruptcy Cover Defaulted Sallie Mae Student Loans? Rebuilding your credit history is important. A low credit score closes many doors. Not only will you not be able to get mortgage with a low score, you won't qualify for a credit card. If you do get approved for credit, you will have to pay a much higher interest rate than someone with a higher score. Many employers now check the credit histories of potential employees, so if you have a low credit score, you may be turned down for a job. You may also be turned down for insurance. If you're drowning in a sea of debt, Chapter 7 bankruptcy may be a good option for you. Chapter 13, however, is less damaging to your credit history. With Chapter 13, you negotiate with your creditors to determine a payment schedule that is acceptable to both parties. You can reduce your debts, but not erase them. Because you're still making payments, your credit score will not be impacted as much as if you had defaulted on your debts. Consider your financial situation carefully before choosing one or the other. R. Sinclair is a freelance copywriter and researcher. She writes about personal finance, health, technology and travel. Her work has been published in numerous magazines and on specialist websites.